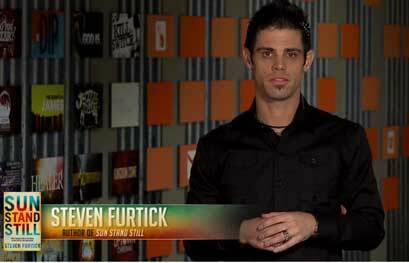 Prophet-Führer Steven Furtick has risen to prominence with an able assist from former Gospel Coalition members James MacDonald, curator of the Elephant Room (ER), and New Calvinist compromiser Mark Driscoll. Apprising Ministries has also shown you that both resignations involved feedback received about the ER. Furtick is actually one of the few veterans of both Elephant Room’s, which led to more credibility within evangelicalism. Earlier in Steven Furtick Bringin’ On Word Faith And The Pastrixes I told you that he’s developing a rather aggressive hybrid Seeker Driven/quasi-Word Faith religion that we might well deem as Furtickism. He refers to it as “audacious faith’ and is the subject of his first book Sun Stand Still (SSS); which came with ringing endorsements from spiritual wingnuts like Dutch Sheets of the NAR and “Bishop” Eddie Long. Now before you view the below clip, as a former football coach I can tell you that we would have the quarterback of our team wear what’s known as a flak jacket to protect his torso from blows; and of course, a helmet. After I told him it was, he proceeded to tell me how he had just committed his life to Christ six months before and that Sun Stand Still had changed his life. He was excited about the book, and it was evident in how loudly he spoke, seemingly unhindered by the attention his loud voice was getting from the crowded gym. He was ready and motivated to change the world. Here, let me explain where Furtick has now intersected with classic Word Faith fables. Following we have the late Kenneth Hagin, who is widely recognized as father of the WF movement and its leading teacher. Furtick identifies Joshua’s prayer based on the promises of God and applies it to our day—we should make bold, Joshua-like, sun-stand-still prayers based on God’s promises. But God’s promises to Joshua were explicitly about defeating the enemies of Israel and taking the promised land. The promise was not: Believe God can do great things and, then, pray big. I am left wondering about the millions of Christians who never accomplish the impossible. Do they lack faith? Do they not believe in the power of God enough? Are they too comfortable with the mundane? Furtick wants you to be unimpressed with the mundane and convinced that God has scripted something miraculous. But there is a radical faith that expresses itself in faithfulness: The father who faithfully reads the Bible and prays with their children; the mother who labors to have joy while changing diapers and cleaning up vomit; the missionary who perseveres in a small tribe with little fruit over 20 years; the elder who never misses a funeral, wedding, or hospital visit; the seminary student who decides to teach the elderly ladies Sunday school class or spend Saturday nights preaching at rest homes; the pastor who says no to more money and a bigger church and stays at the smaller church where he’s labored with the same people, in an old building, with a cranky deacon board.